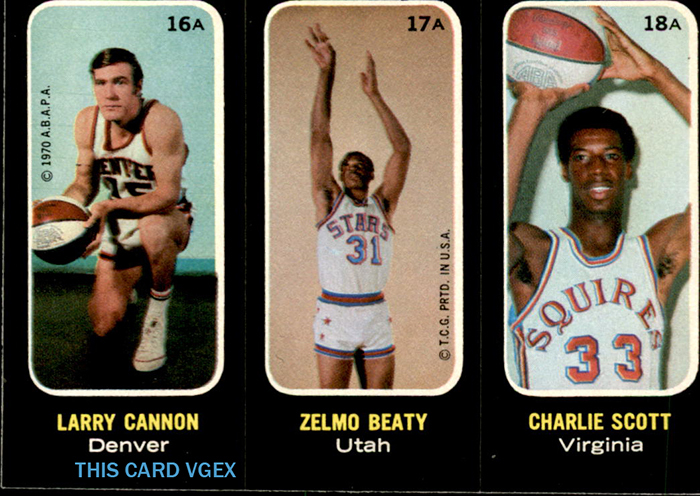 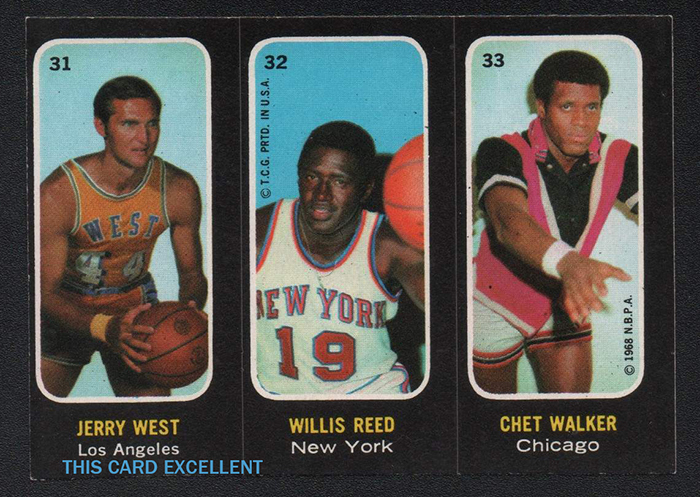 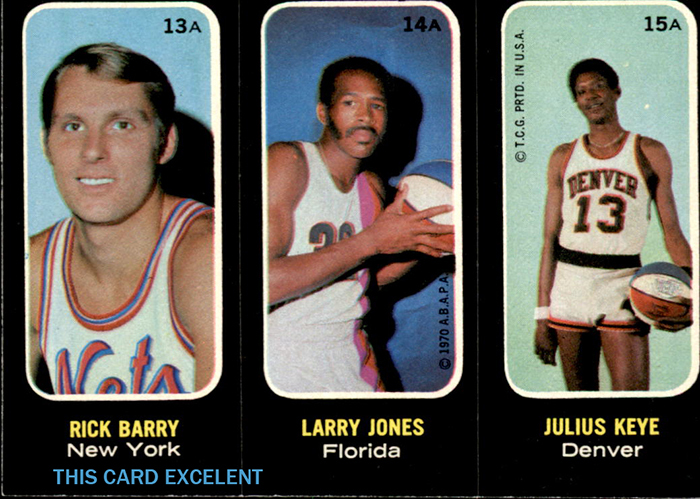 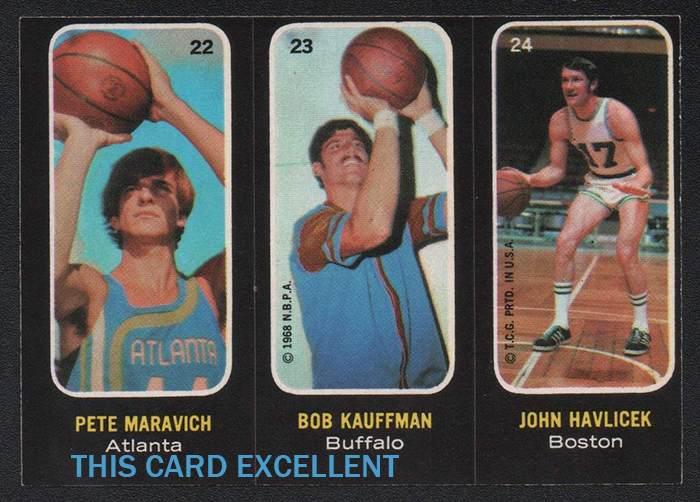 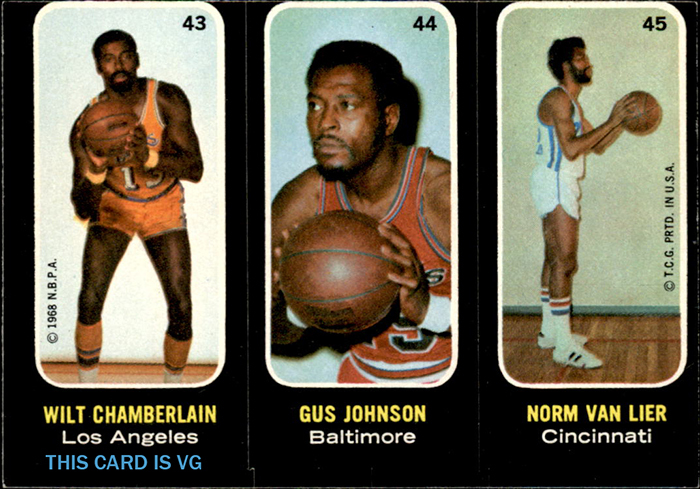 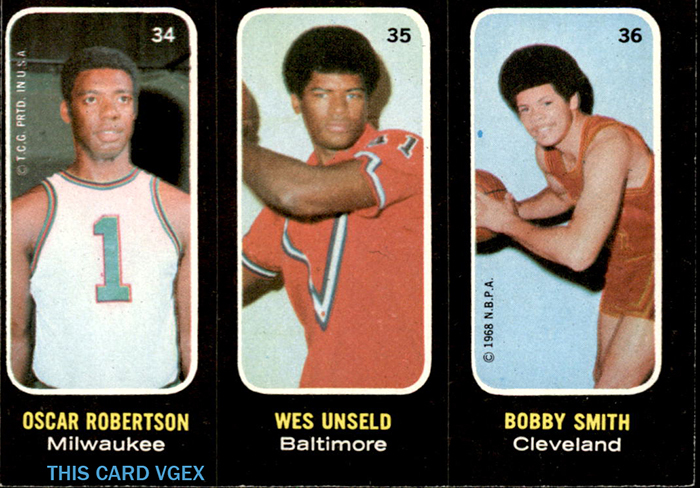 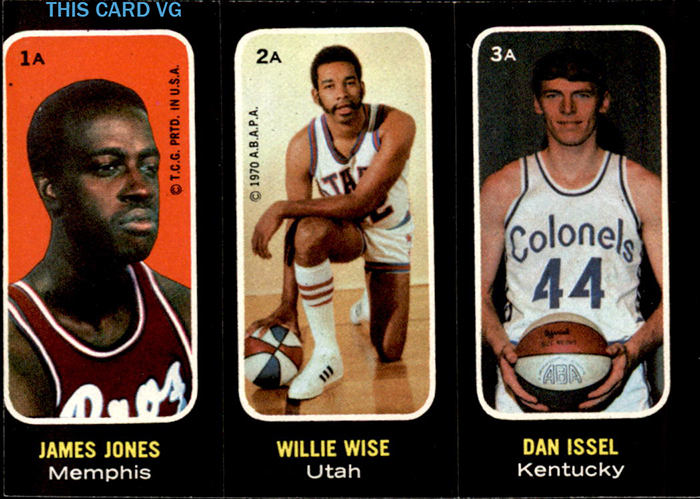 This insert set was issued with the 1971 cards and show ABA and NBA players. 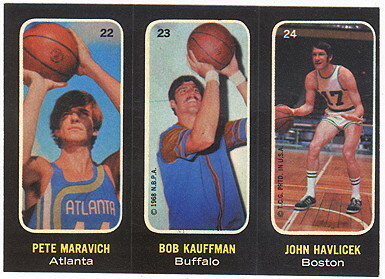 They are a similar design to the 1981 Topps Basketball cards. 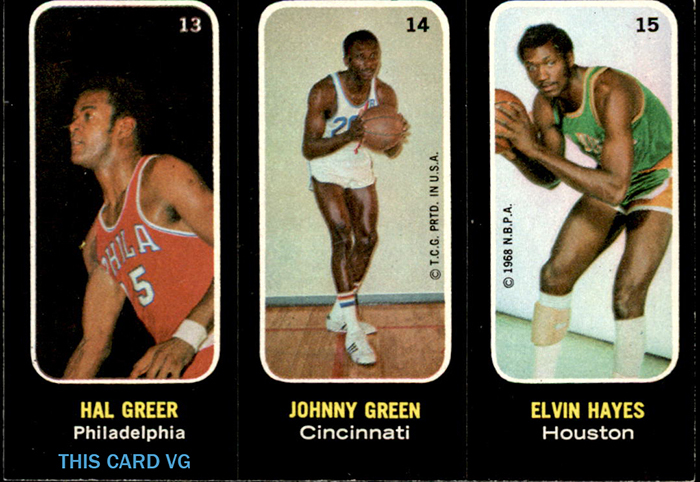 They are the same size as the regular cards, and have three players on each card, and there are team logo stickers as well. 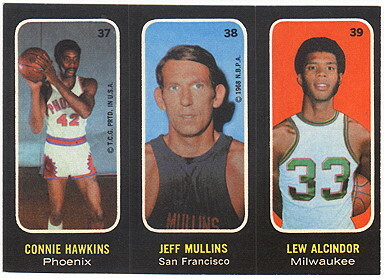 Because they are all black, and flimsy, they are very difficult to find in high grade.